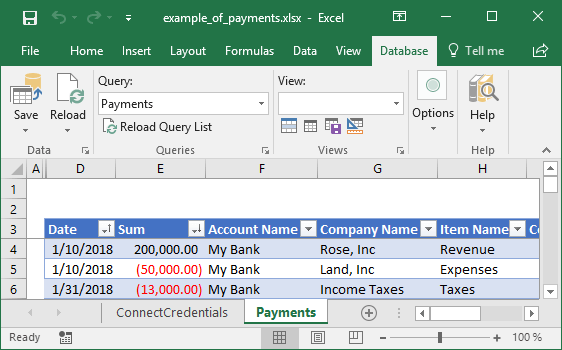 Today we discuss how to connect to a database. 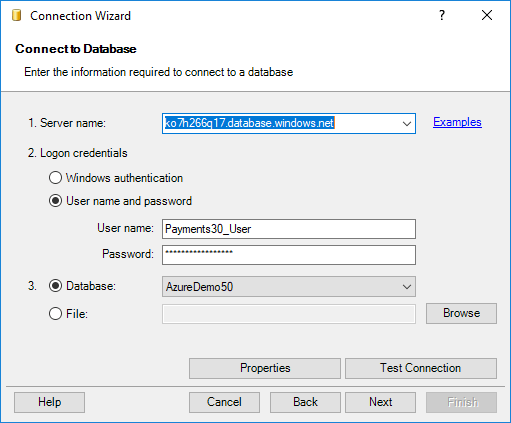 You will connect to a cloud Microsoft SQL Azure Database. Open the Database tab, click Wizards, Connection Wizard. The example workbook has configured connection parameters. As a result, you see filled fields. Just click Next, Finish, and OK in every step. Try to edit data and click the Save button. You may connect to your tables and views, edit data, and save the changes. We have learned how to connect to a database and save changes back to a database. In the next letters, we will discuss advanced features.